After what felt like months, though it probably wasn’t, good weekend weather is finally back in the Southern California forecast. I don’t know about you but I can’t wait to get back to fishing. Speaking of which, I was jonesing so hard last week that I went against my own advice and tried to squeeze a quick trip in Sunday morning before the wind blew. Jimmy Decker and I launched out of Newport with plans to run up and fish the pipe but it was rough enough to convince us to bend it down the coast instead. It was pretty much unfishable so we gave up after half an hour. The wind started blowing when we started our two-mile run back to the harbor and within a few minutes was gusting 20. The moral of the story? When I advise people to stay home and avoid the wind, I should practice what I preach. Speaking of windy weather, there really isn’t going to be any on Saturday. 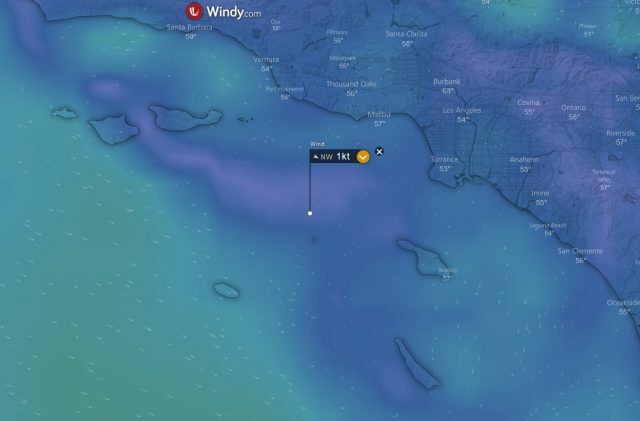 This shot is from Saturday morning’s forecast at 6:00 a.m. and shows less than 5-knots of wind across the Southern California Bight. The calm winds are forecast to last through Sunday evening with less than 10-knots across most of the area with a little more wind across the outer Channel Islands on Sunday afternoon. There’s some wind forecast at the outer islands on Monday and Tuesday but things lay back down after that. There hasn’t been a ton of fishing coverage this week due to weather but there’s been enough to get an idea of what might be happening this weekend. 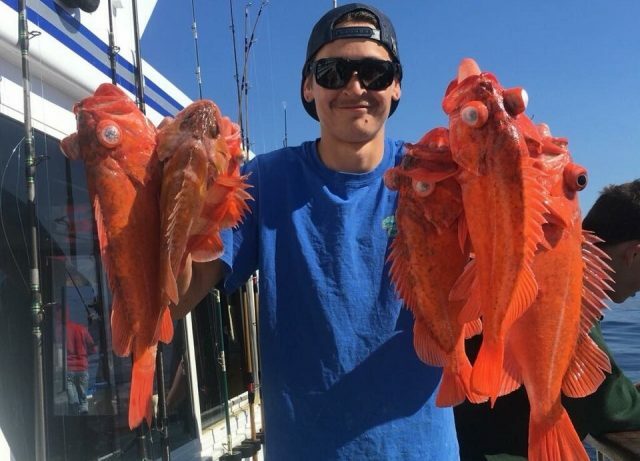 Starting up north, the rockfish are biting at the Channel Islands and along the coast. I just got off the phone with Captain Larry Heron of Calico Hunter Charters and he said that the weather looks good for boats making the run to the West end of Santa Cruz Island or Santa Rosa. I called Larry because my original plan of running to Clemente got derailed by the Navy closing the entire island at 1:00 p.m. on Saturday. So, my current plan is to launch out of Santa Barbara and make the run out to Santa Rosa for a morning of codding followed by an afternoon of sitting in traffic on the 101. The Aloha Spirit has been fishing Santa Cruz Island and on Wednesday’s trip they reported metering some seabass and having some yellowtail come up and boil around without eating anything with a hook in it. Their lack of interest may change going into Saturday night’s full moon, so if you’re heading up that way I’d bring some seabass and yellowtail appropriate tackle just in case you get lucky enough to run into biting fish. 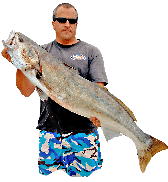 Speaking of seabass, they’re biting at Catalina Island and at the time of this writing, on Thursday morning, the Dreamer out of Pierpoint Landing already has fish aboard. 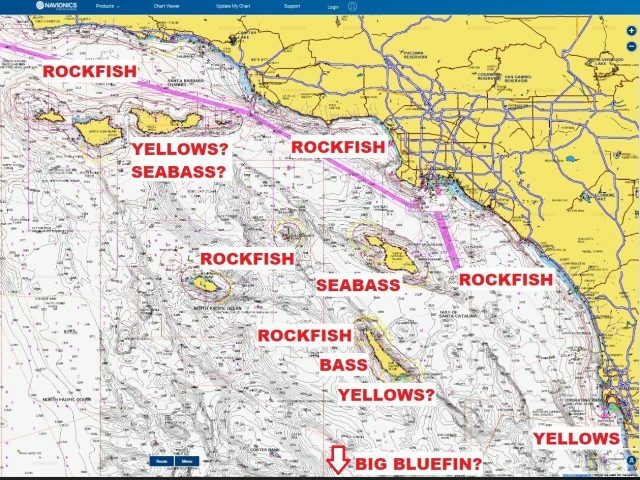 I have no idea where the fish are being caught but they are seabass and it is Catalina, so I’d imagine it’s in one of the usual early season spots. Make sure and bring some frozen squid because I’ve heard that live can be tough to come by right now. One place that the yellows are biting is at the Coronado Islands. Both the San Diego out of Seaforth Landing and the Liberty out of Fisherman’s Landing have been catching fish this week. The fish have been biting late in the day and they reported the fish showing at 2:00 p.m. on Tuesday and 3:00 p.m. on Wednesday. Whenever bites happen about an hour apart on subsequent days, I suspect that the tide might be a factor and looking at the chart, the afternoon low was at 1:42 on Tuesday and 2:22 on Wednesday. Just something to keep in the back of your mind if you’re heading down there. Oh and the fish are biting the yo-yo best but some are being caught on the surface iron and flylined sardines. I skipped a few islands earlier so let’s head back up the coast for a minute. The rockfish are still biting at San Nic and likely will be as long as there are boats there to catch them. There are also a few yellows at the island and at least one was caught this week. I hate Santa Barbara Island so I’m not even going to talk about it today. In fact, I hope it sinks back into the ocean. As I mentioned earlier, San Clemente is closing early on Saturday so I’d hold off until Sunday if you want to make the run. The rockfish are biting at the island and the Thunderbird out of Davey’s Locker has been scoring lots of nice reds. 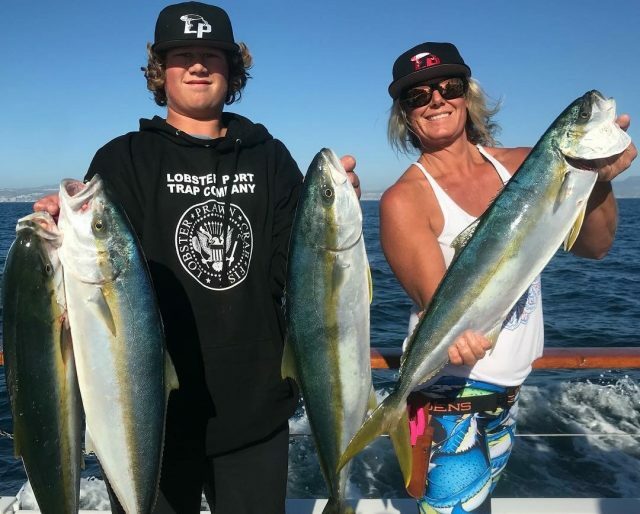 There was also some sign of yellowtail last week and with the full moon coming I’d say the chances are good that they might find some biting fish in the next few days. The rockfish are biting along the coast but other that some nice reds in Long Beach, it’s really nothing to write home about. Finally, I’m sure that at least a few boats are going to take a look around the big bluefin zone down south. Keep your fingers crossed that they find something good. Have a Happy Easter and good luck to you if you’re headed out this weekend! Enjoy the weather. Check out more of Erik’s column on BD.